Art cards from the series ‘a soft breath in the cold dawn’ are for sale in my store. Trailer kaarten from Vivian Keulards on Vimeo. A lot is happening this week. Two portraits I made were removed from my exhibition at the WTC The Hague Art Gallery. I was upset by this and wrote a column about it and shared it on Social Media. One day later I was national news. 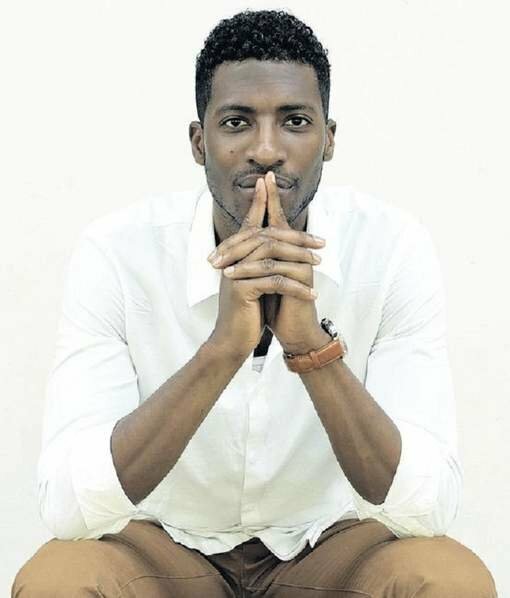 You can read my column down here and listen to the radio interview here . Three national newspapers (NRC, Trouw and AD) wrote about this. the wall. Since October 19 (or since the 19th of October), two photo series hang on the walls of the gallery: “Flaming Grace” (portraits of red-haired children) and “Bloody Mary and Sloppy Joe” (documentary portraits of my time in the US). Business people walk by my work daily as the gallery is located within a commercial environment. An international company, renting an office within the WTC, complained that they think two images in my exhibition are offensive. It concerns portraits of two children with bare upper bodies: a red-haired little boy and the other one is my own daughter. The gallery has decided, after consultation with the WTC Executive Board, to take these images off the wall. They said they had no choice, they needed to respect the decisions of WTC. taste, you’ll find something beautiful, or not. But to qualify my work as offensive? That’s a comment I hear for the first time. I became emotional after hearing about this, but it took very little time to discover where this feeling came from. These portraits, that I made from the heart, where I tried to show beauty and innocence, have become infected. That makes me sad. Who on earth looks at these portraits this way? At my own child? What goes around in these viewers’ heads? That’s what gives me the chills! That what these viewers see, and what I have intended to capture, are miles apart from each other. silently felt very wrong. I have to stand up for myself and my work. In fact, I also need to stand up for our community of professional photographers. Creative freedom suffers when we do not speak up. Where do you draw the line between what is acceptable and what is not? A difficult discussion in these times, but I do know that I find the vision of this company heavily exaggerated, hypocritically prude and narrow-minded. Netherlands. That’s what I put in this portrait, and nothing else! voices on this kind of issues, against this censorship, even coming from a commercial, business world, we create a ridiculous taboo. This is not what we want. They love my series and book Flaming Grace in Russia! I won 3x gold and 1x bronze in the Mifa contest. Look at the other prize winners here . A very nice interview with a regional Dutch glossy: Navenant. You can find the interview in the Tearsheets. Today in the Dutch newspaper Trouw my project of young people becoming an adult. You can find the full article in Tearsheets. My series Flaming Grace will be shown at the Annenberg Space for Photography , coming Thursday evening, the 8th of December, in LA. If you’re in the area, don’t miss it. It’s going to be a fantastic slide show event with great portrait photographers! Today in Volkskrant Magazine, Smaak. The hairdresser’s store Sjenkels in Leiden made this great art piece for me. The got my book Flamin Grace as a thank you. Great news! My series ‘Me and My Selfie’ made it to the CRITICAL MASS 2016 TOP 50 of Photolucida. I feel very honored to be part of this wonderful list ! I was a guest on the regional radio yesterday with my book Flaming Grace. You can listen to it here. Today in the Dutch News Paper Trouw. It’s here, yes, yes, my first book: Flaming Grace. What a party!! Did you get your copy? You can now order it online in the store of my website! Here I am being very, very happy! I made it to the top 200 of Photolucida’s Critical Mass again, wihoo! This year with my project Me and My Selfie. Have a look here to view all the great finalists. Very happy to share the news that my series Me and My Selfie will travel to New York this September (21-25). Photoville will exhibit 10 diptychs in a shipping container. I made it! The book Flaming Grace is funded! I’m so grateful for the love and support I got during this crowdfunding campaign! Thank you, thank you ❤️! The journey was nerve wrecking, heart warming and exciting. I’m looking forward celebrating my book launch in September! Slowly getting there! I’m happy! We got 42% of the amount! That’s good, but I still need more to get the book Flaming Grace printed! I’m working hard to promote the beautiful redheads. Ignant shared my project and today radio station DMC put together a playlist inspired by the portrait Taryn and Olivia. How great is that? Please consider buying a copy of the book and support my crowdfunding, here’s the link to the website voordekunst.nl. My crowdfunding for the book Flaming Grace just started! Please have a look here and consider buying an exclusive limited edition copy! Very honored to be included in this list of Dodho Magazine , wow. 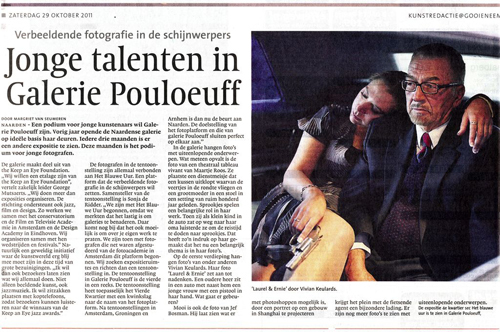 Today in the Dutch newspaper Trouw 12 pages of portraits and my interviews with the Navy girls. Yes! You can find the article in Tearsheets. I had the pleasure to talk to David Rosenberg about my series ‘Behind her Uniform’. See the publication on Slate ! Made it to the top 50 of Critical Mass 2015 Photolucida with my portrait series of the navy girls. Oh happy day! The Dutch newpaper Trouw published my teenager-selfie project today, 6 pages. Today Christie’s Amsterdam opens it’s doors to see the YIP Art’s collection of 2015 . On the 18th of October people can bid on the gorgeous photographs of well known Dutch photographers. All the money will go to YIP (Young In Prison) so they can proceed their wonderful work. I’m happy to be included in this auction with one of my portraits of the red haired children. I’m excited to share that my new portrait series of Navy women is selected to the final round of Critical Mass 2015 of Photolucida. Made my début today in the Dutch national newspaper Trouw . I met Anthony Grimes in Denver two years ago and met him again for this interview in the Netherlands. It was a treat and an honor to portray him. Hope to publish more future work in the newspaper Trouw soon. Opening soon at the Athens Photo Festival 2015. 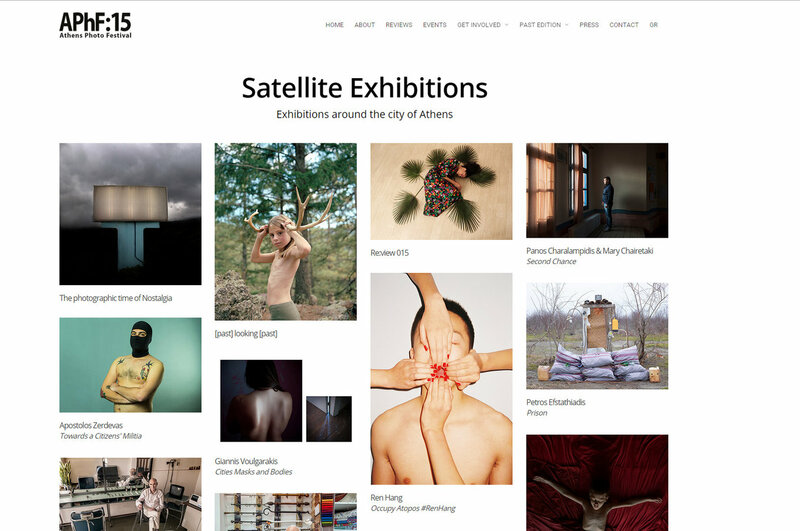 I’m very honored to be selected from 1800 entries to be part of their Satellite Exhibitions! Gratefully I say goodbye to 2014. Thank you for the adventure, the trust, the love, my health, new friends, old friends, a home and the cutesiest puppy. Looking forward to fill my blank page in 2015. Happy New Year! 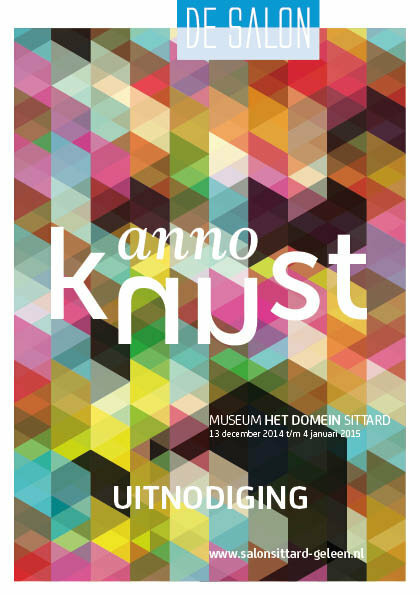 Very excited to be part of this great art group exhibition at the ‘Museum Het Domein’ in Sittard (Netherlands). 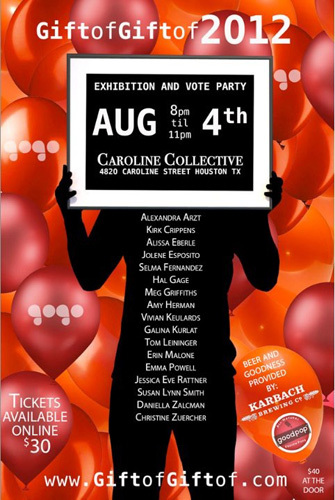 It’s the first time three of my portraits are shown among different categories of art. The exhibition will show work in the field of photography, video, performance, sound, sculpture and painting. 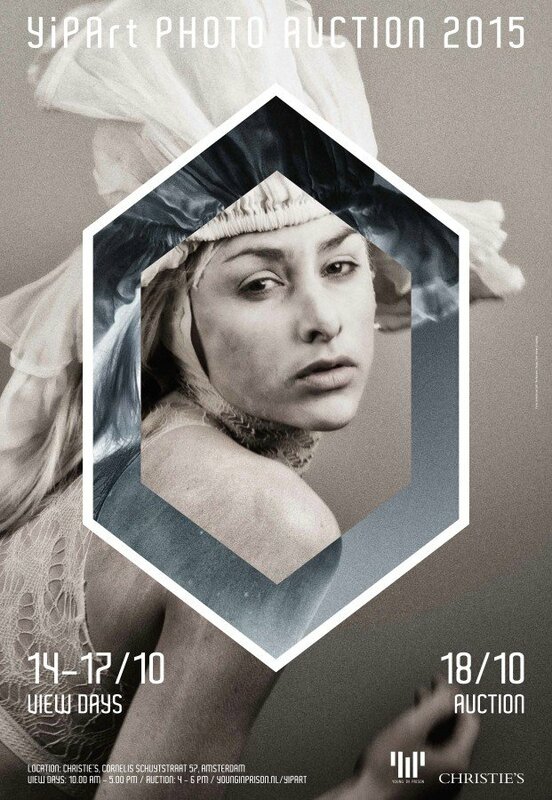 You’re invited for the vernissage on Saturday the 13th of December,15.30u! Busy working on my first book (yes!) ‘Elusive Beauty’, several new projects (I’ll share more as soon as possible) and finding my way into the world of Dutch photography assigments. Very honored to be invited to show my body of work ‘80439, Bloody Mary and Sloppy Joe’ at the Annenberg Space for Photography in LA during their special slide show evening. On top of the great publication in their magazine New Dawn, I’m also part of their great celebration and exhibition at the Melkweg Galerie in Amsterdam! 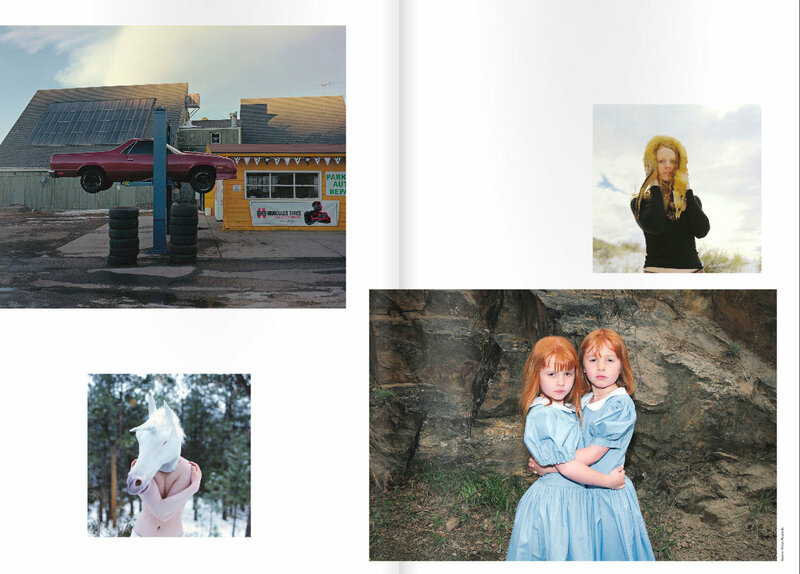 My portfolio was published in the great Dutch magazine ‘New Dawn’, 6 pages. Planned my trip to Ireland at the end of May to shoot more portraits for my project ‘Elusive Beauty’. Looking forward to this! Some great exhibitions coming up! In May Kolga Tbilisi Photo 2014 , Georgia (shortlisted for the 2014 award), in June at the Copenhagen Photo Festival : The Censored Exhibition 2014 and in August my work ‘Elusive Beauty’ will be shown at the Argentina Festival de la Luz XVIII Encuentros Abiertos . I’m very grateful with these great opportunities! Dodho Magazine featured my work. Jim Casper published my work ‘80439, Bloody Mary and Sloppy Joe’ on LensCulture! Have a wonderful trip towards 2014! May the new year bring you lots of good surprises, creativity, fortune, love and happiness! 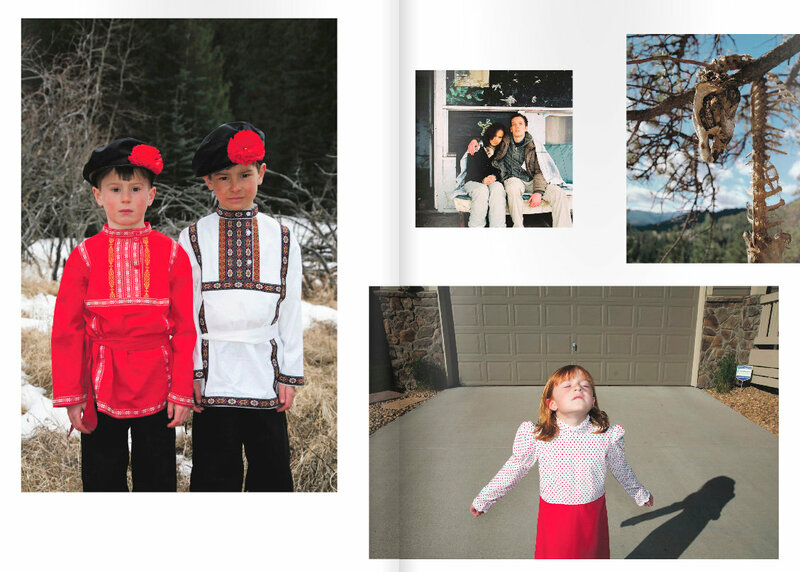 Essay ‘New Approaches to Portraiture’ in Loupe Magazine by Francine Weiss (Photographic Resource Center, Boston University). Proud to be included together with the great photographers Natan Dvir and Jen Davis. Only a few days before Photoville 2013 starts. 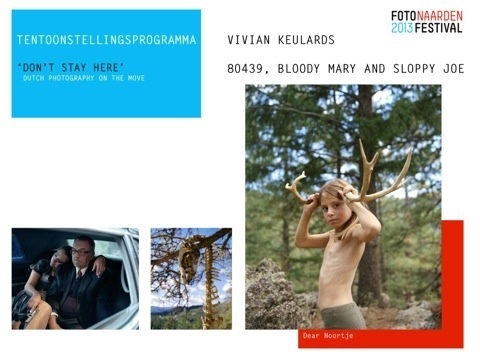 Part of my series ‘80439, Bloody Mary and Sloppy Joe’ is on show with FotoFestival Naarden. Go and see this great event: Brooklyn Bridge Park from September 19–29. Very, very proud to annouce that I’m a 2013 Critical Mass finalist. Especially within this great group of talented fellow photographers! Nominated for SO 2013 (by PANL)!! Proud to discover that Joerg Colberg published my series ‘80439, Bloody Mary and Sloppy Joe’ on his blog ‘Conscientiuous’. My image ‘Oh Dear’ from the series ‘80439, Bloody Mary and Sloppy Joe’ published in Shots Magazine no.119 ‘Creatures’. Great news today! I’ll be exhibiting my series ‘80439, Bloody Mary and Sloppy Joe’ at the Naarden FotoFestival in The Netherlands! The festival is from May 18th – June 23rd. I hope to see you there! Today I had a gallery talk at CPAC about my work and was interviewed by Tomiko Jones at CPAC. Today is the Opening Reception of my and Sharon Harper’s show at CPAC in Denver! Come and join me at 6pm toninght! Merry Christmas and a Happy & Creative New Year to everybody! Mark your calenders! The 8th of January my show opens at CPAC in Denver! The reception is on Friday the 11th of January from 6.00pm-8.00pm! Everybody is invited! I hope you can make it! Aline Smithson published my work on Lenscratch today! I’m honored! So proud to be part of the Currents 2012 exhibition in the Ogden Museum! Amazing curating of art work over 4 floors in a beautiful museum! Breathtaking! I just heard that my work is selected by Richard McCabe for the Currents 2012 exhibition in the Ogden Museum in New Orleans during the PhotoNOLA Festival in December! I’m proud to be in this show with such a wonderful group of photographers: Thom Bennett, J.T. Blatty, Lee Deigaard, Nell Dickerson, E2 (Elizabeth Kleiveld & Eric Julien), Frank Hamrick, Christopher Harris, Eleanor Owen Kerr, Maria Levitsky, Colleen Mullins, Donna Pinkley, Rylan Steele and S. Gayle Stevens/Judy Sherrod. 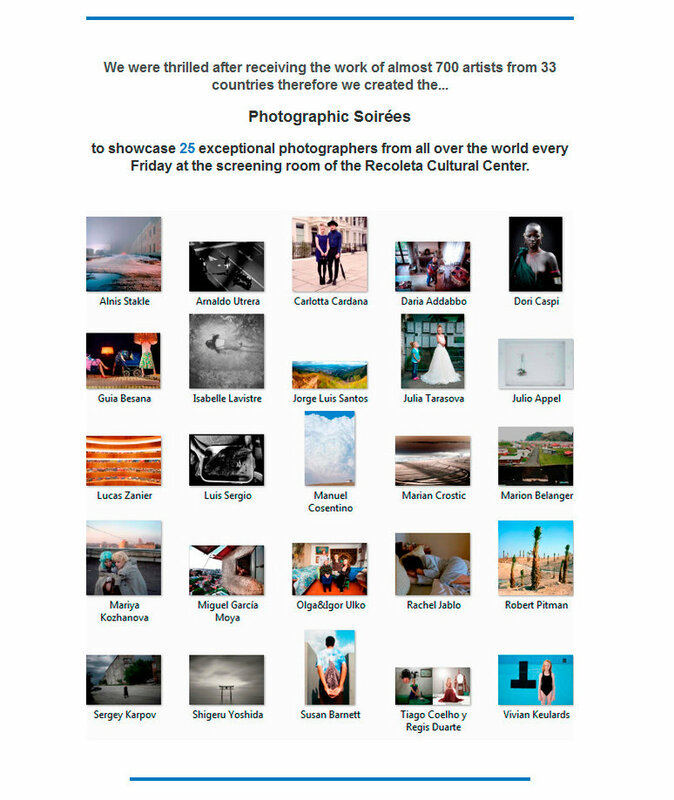 Received an email today from the Lucie Foundation that I received 2 Honorable Mentions in the 2012 International Photography Awards annual competition. They received over 10,000 entries during this very special 10-Year Anniversary Edition of the competition. Yes! 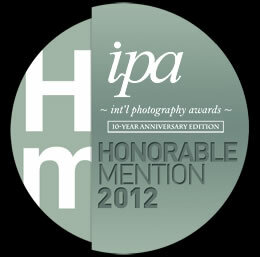 I’ve been selected as a Photolucida Critical Mass 2012 finalist! Of the 756 entrants I’m among 200 finalists! This is one of the most important events in the States! Hopefully I’ll make it to the top 50 portfolios! At the end of november we’ll know! Fingers crossed! Steven Churchill from the Art of Photography Show in San Diego : “Dear Vivian, I am delighted to inform you that your work was selected by our judge, Julian Cox, to be exhibited in the Art of Photography Show 2012. We received 16,905 entries, from 77 countries, 200 pieces were chosen. So it’s quite an honor that your work was selected by Mr. Cox.” So proud!! Voting was on Saturday the 4th of August! And Yes, I’m in! Gift of Gift of 2012 bought my piece Gift From Heaven, Dominique! That means that my piece is now officially part of the collection of The Museum of Fine Arts in Houston! The Center for Fine Art Photography has selected ‘Elusive Beauty, Lauren’ to be part of the show Center Forward 2012, from September 7th – October 20th, 2012. Natasha Egan (Associated Director and Curator of the Museum of the Contemporary Photography in Chicago) and Kathy Ryan (award-winning photo editor of the New York Times Magazine) juried the 3rd Annual Photography Exhibition at PPAC in Philadelphia and my piece ‘Elusive Beauty, Lauren’ is chosen to be part of this show. Best of show! 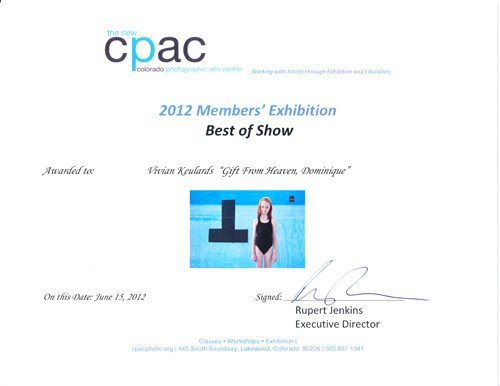 CPAC purchased my piece, because I was Best of Show at the 2012 Members’ show. Now the piece ‘Elusive Beauty, Dominique’ is officially part of their collection! At the end of March I’m leaving for the Houston FotoFest! Looking forward meeting reviewers and other photographers from all over the world! Four whole days of only photography! 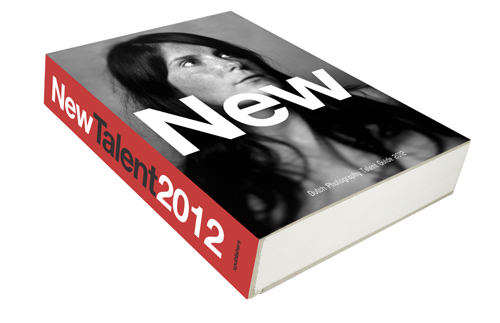 I’m selected for the NEW Dutch Photography Talent book by GUP! Two pieces (iPhone Hipstamatic images) were selected for this show, by jurors Chuck Mobley (Director, San Francisco Camerawork) and Brian Paul Clamp (owner and director, ClampArt, NYC). 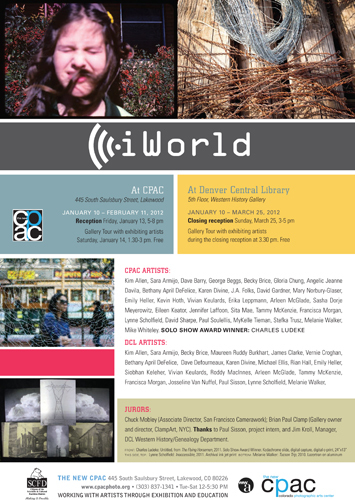 One is in the show at CPAC and one at the Denver Central Library.